As goes the pastor, so goes the church. As goes the church, so goes the nation—and the world. Church revitalization begins with pastoral revitalization. Our spiritual health will directly affect the health of our ministries. There is no historic record of revival or revitalization apart from intentional prayer. Jesus modeled for us how church leaders can and should pray in John 17. He starts off praying for Himself, then for His disciples, then future believers and leaders like us. This is a simple and effective model that we can use in our own prayer lives, especially if we are hoping for revival in our own lives and churches. 1. Jesus prayed for Himself first. Praying for ourselves may seem counterintuitive, like putting the oxygen mask over your own face before you share it with a passenger in greater need. We all know that there is no such thing as a healthy church without a healthy pastor. Neglecting your own spiritual, physical and emotional needs will end up robbing your own family and church in the long run. Jesus prayed for strength to finish the work God had called Him to do (John 17: 1-5). That was a smart thing to do because Jesus didn't want to blow His assignment. Nor do we. The success of His mission, and ours, is to bring glory to the Father and grace to our brothers and neighbors. 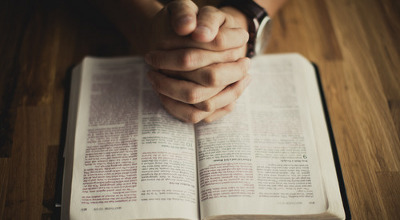 In Matthew 6 Jesus also encouraged us to pray for our practical needs, such as direction (God's will), resources (bread), forgiveness, and strength to fight temptation and evil. Don't let the prosperity-gospel weirdos completely turn you off from praying for yourself. Jesus started with His own needs, but the direction soon turned outward in the primary part of His prayer. 2. Jesus prayed for His leaders. The largest part of Jesus' prayer (v. 6-19) is spent interceding for His disciples. Jesus had an inner circle for whom He was responsible. So do you and I. Of course, the closest in your inner circle is your family, so I would encourage you to start with them and work out from there. Whether paid or volunteers, and regardless of titles, we all have a leadership circle that we need to be praying for and with regularity. Your leaders are targets! Pray daily that your leaders "[do] not fall into disgrace and the Devil's trap" (1 Tim. 3:7, HCSB). Pastors, elders, deacons, teachers, committees and teams—all form a front line with you in an invisible war. Jesus prayed for the Father to "protect them by Your name" (v. 11) from the world who hates them (v. 14) and the Devil who plots against them (v. 15). When I pray, my own family and life come first, then my staff and then other leaders. Jesus modeled this stewardship of His prayer time for us well. 3. Jesus prayed for future church leaders. In John 17:20-26 Jesus changes the direction of His prayer from an exclusive small group of leaders to an inclusive group of future followers. This paradigm shift is an intentional prayer shift that I am convinced very few Christians make. "I pray not only for these, but also for those who believe in Me through their message" (John 17:20). "But I have other sheep that are not of this fold; I must bring them also, and they will listen to My voice. Then there will be one flock, one shepherd" (John 10:16). LifeWay leader David Francis writes in Missionary Small Groups that healthy Christians think beyond their class to the community and (great) commission. For the individual, that means changing your focus from "me" to "us" to "them." Imagine what our church would look like if we prayed and acted more like missionaries. I find it very interesting that Jesus was praying for His disciples' disciples. Their spiritual children and grandchildren would at first deal with horrendous persecution, so Jesus prays, "protect them." Then they would face a more subtle enemy—disunity, so Jesus prays, "unite them." "One" equals unity. It is very important to our Father that His children get along. Not only are fighting children annoying, they are a distraction from the mission of reaching a lost world. "May they be completely one, so the world may know You have sent Me" (John 17:23). Formerly churched people have not so much lost interest in Jesus as they have given up on His bride. Every time believers backbite, our message takes a hit. Eighty percent of Americans will not be in any church this Sunday, and only a third of church members will even show up. Jesus showed us how to live in a constant state of dependence on the Father: through intimate prayer. Jesus is still praying for His beautiful, dysfunctional bride: us. Will you join Him in praying for our family's and church leadership's protection, provision and unity? Mark Dance serves as associate vice president for pastoral leadership at LifeWay Christian Resources. A native Texan, Mark pastored churches in Texas, Tennessee and Arkansas before joining LifeWay. 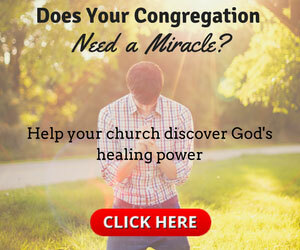 For the original article, visit churchleaders.com.